It has been two weeks since we moved in Seville. Our feet start itching for new adventure. Somewhere that is not too far neither too close to Seville. Madrid is on top of our list. 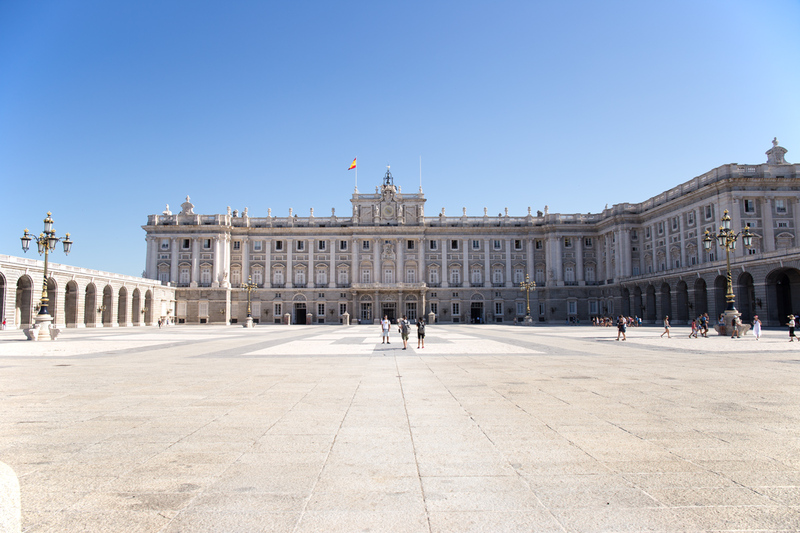 It is only fair to visit the capital of Spain as our first adventure. 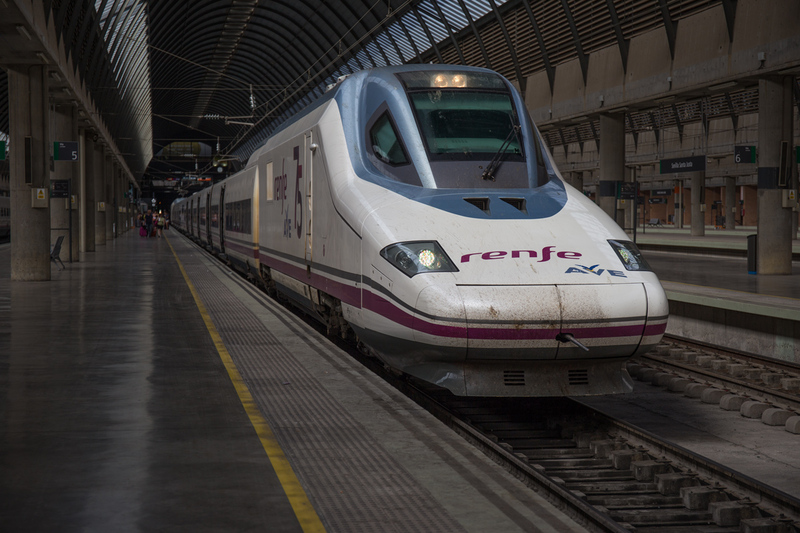 We took AVE, Alta Velicidad Espanola, the Spain high speed train from Seville to Madrid. It took only 2.5 hours train ride to reach Atocha Madrid train station. It was just about a perfect time to travel with my baby bump that gets big by day. Surprisingly enough, AVE round trip tickets were considerably cheap, compared to shinkansen bullet train in Japan. 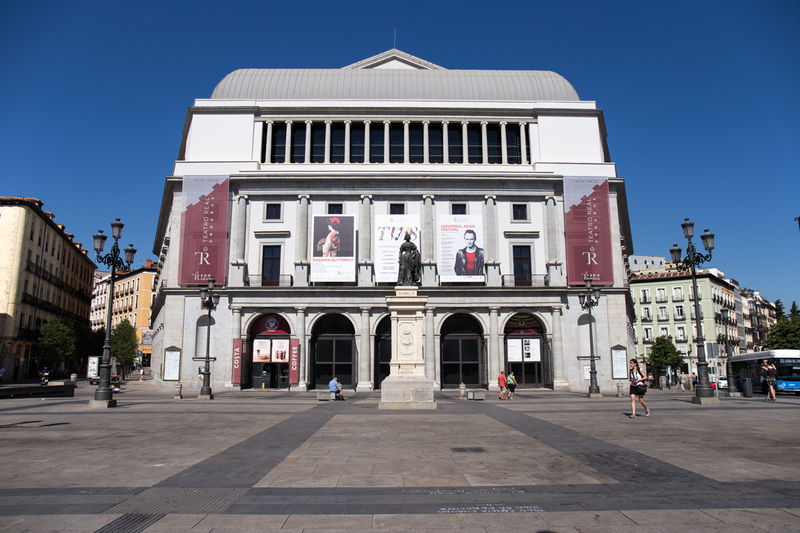 Like many other first time visitors, Madrid simply overwhelmed us. There were so many places to visit yet so little time. Staying in the city centre (or shopping centre) Gran Via was a great decision. 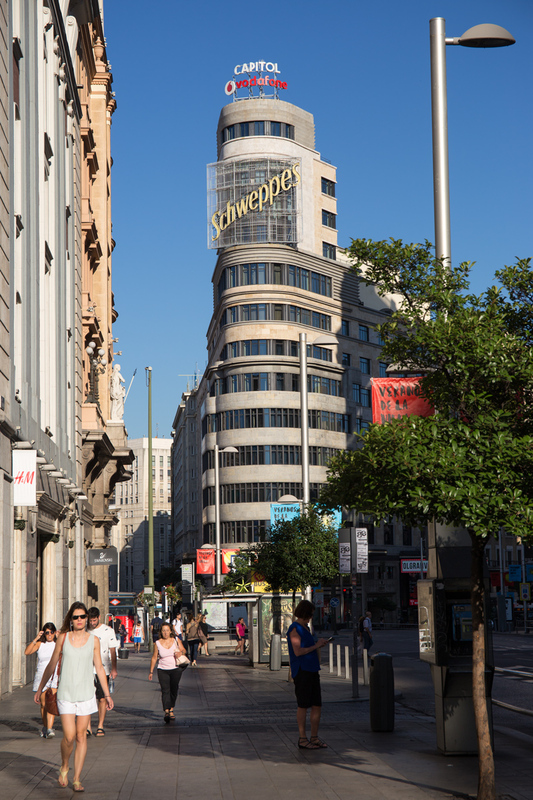 Gran Via is one of Madrid’s popular tourists spots where affordable brands, restaurants and cafe are located. 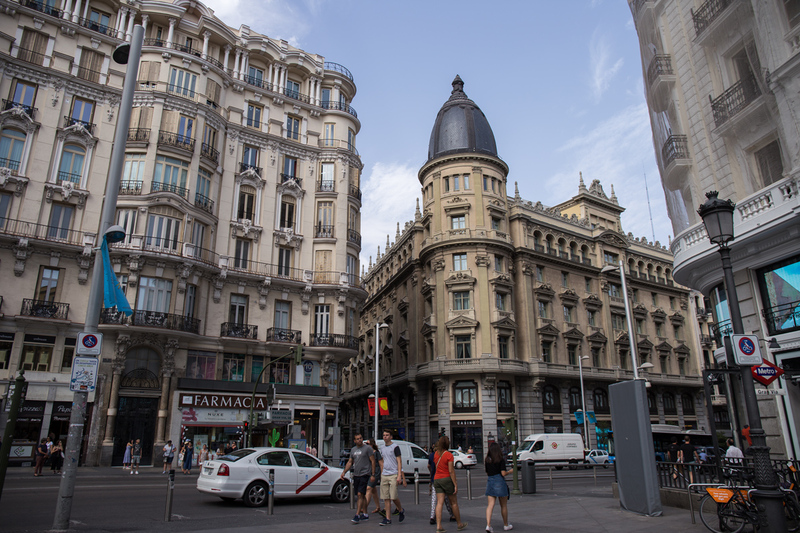 The best thing about Gran Via is it’s located within walking distance to famous sightseeing spots. 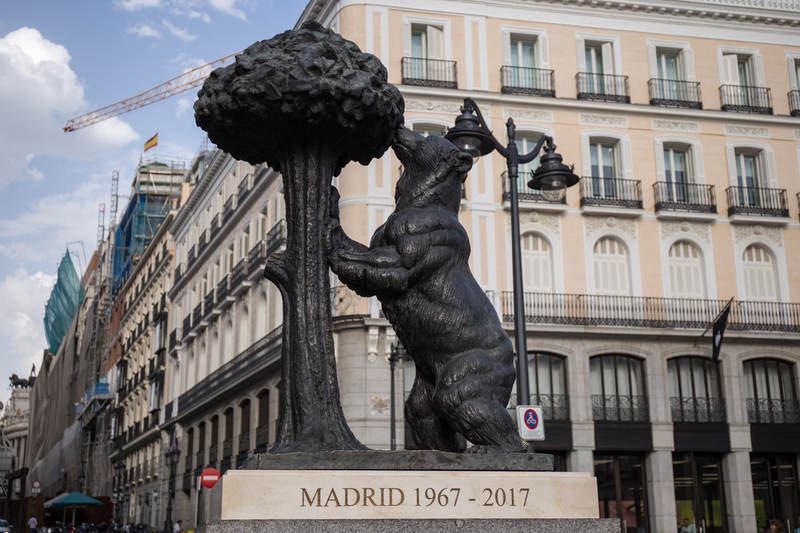 The Bear and Strawberry Tree statue at Puerta del Sol. 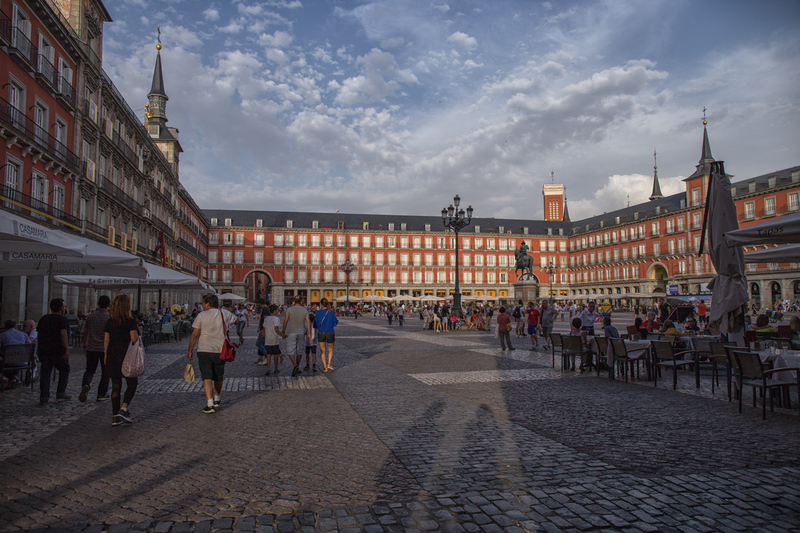 It took only few minutes walk from Gran Via to Madrid’s most popular sight, Plaza Mayor. 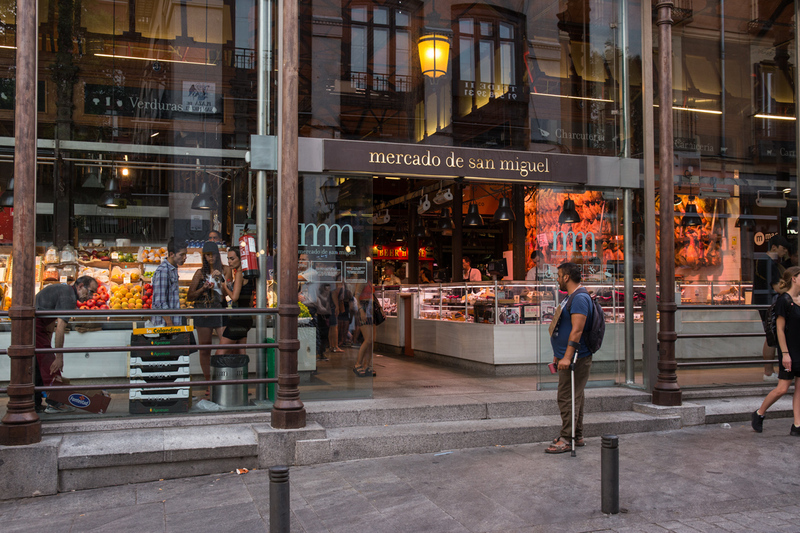 The most visited local market, Mercado de San Miguel is also located within walking distance from Plaza Mayor. 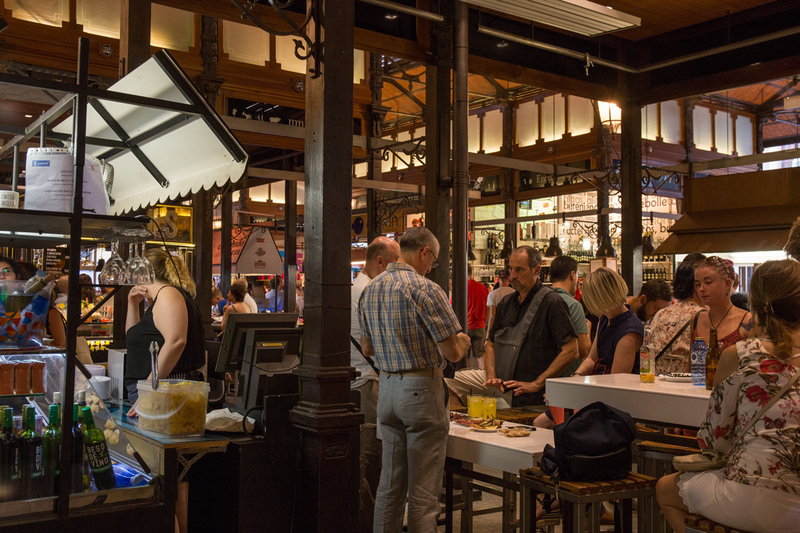 It was not even 8pm, San Miguel market was already buzzing with people sipping cold drinks and enjoying tapas (savoury dishes). There was no empty chair left in any of the bar. Dinner may start at 0930 pm in Spain but never come late for sipping drinks in any popular place. 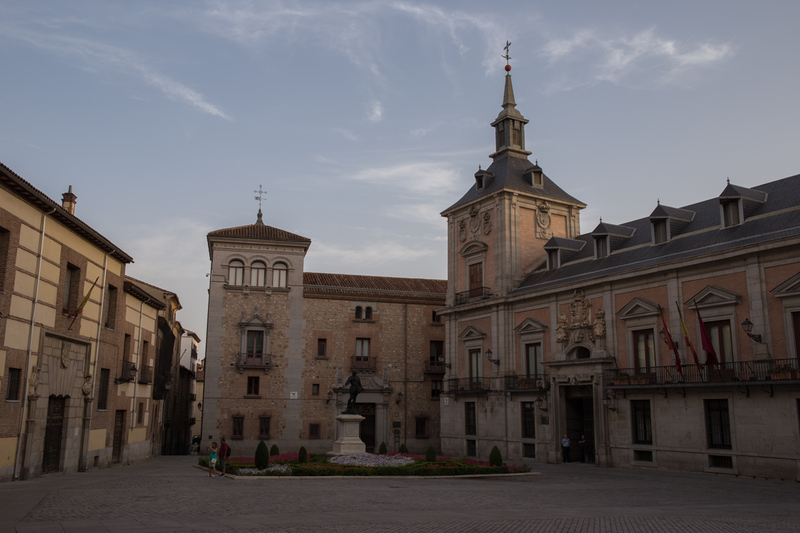 Strolling through the old city centre led us to this quiet spot, Plaza de la Villa. The weather was on our side on the 2nd day of our stay in Madrid. 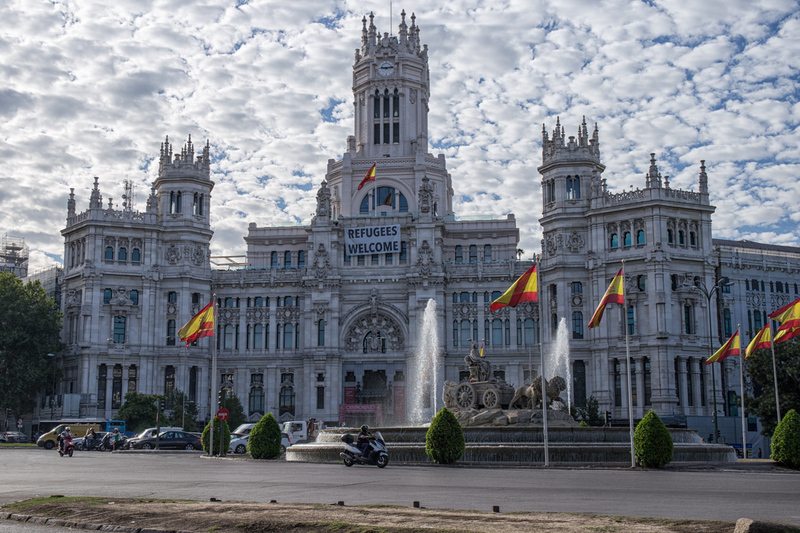 The sky was so dramatic in the morning that turned this Madrid City Hall at Plaza de Cibeles into the most beautiful building in Madrid. 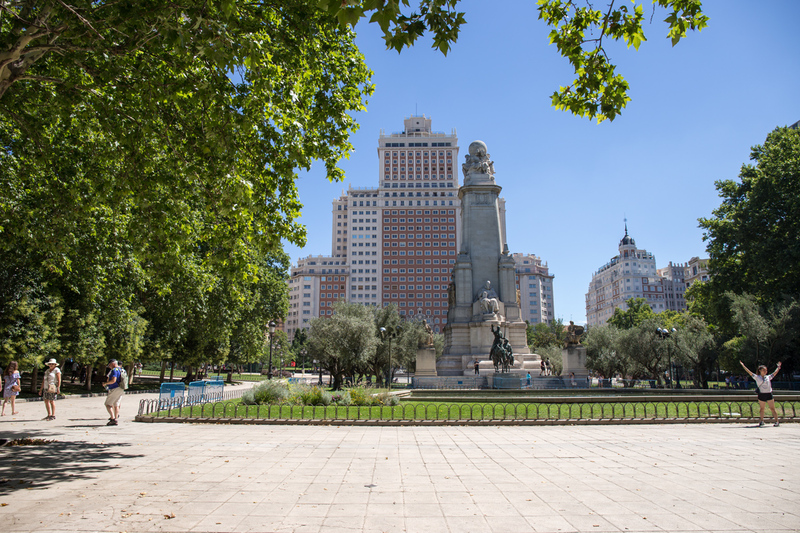 Few minutes walk from Plaza de Cibeles is Puerta de Alcala. 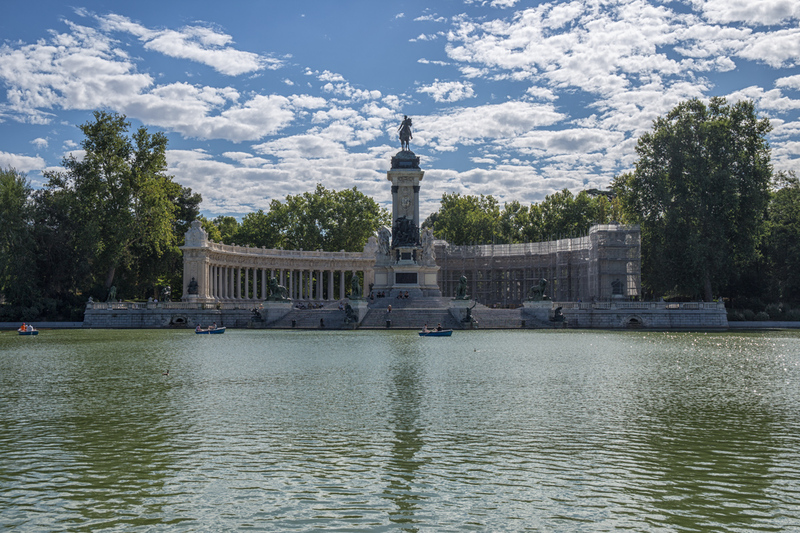 Madrid’s famous park, the El Retiro Park is located just across the Puerta de Alcala. 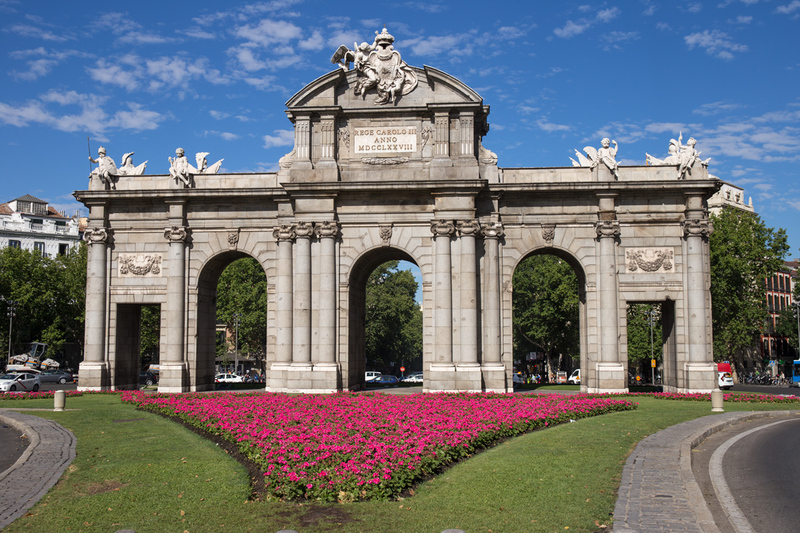 It’s one of the largest park in Madrid that takes at least an hour to stroll through the entire park. 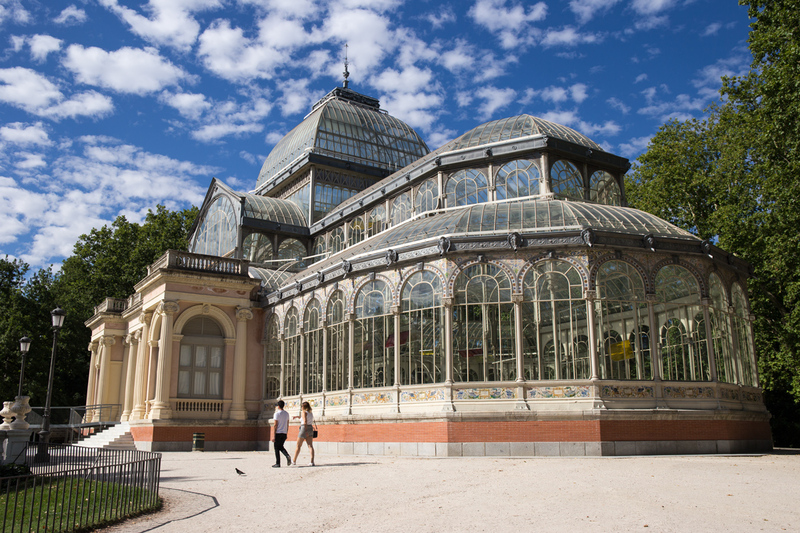 We made it to the Palacio de Cristal, a glass and metal structure that used to be botanical garden in late 18th century. Judging from the numbers of the visitors, this Palacio de Cristal is the most favourable photography spot in the Park. 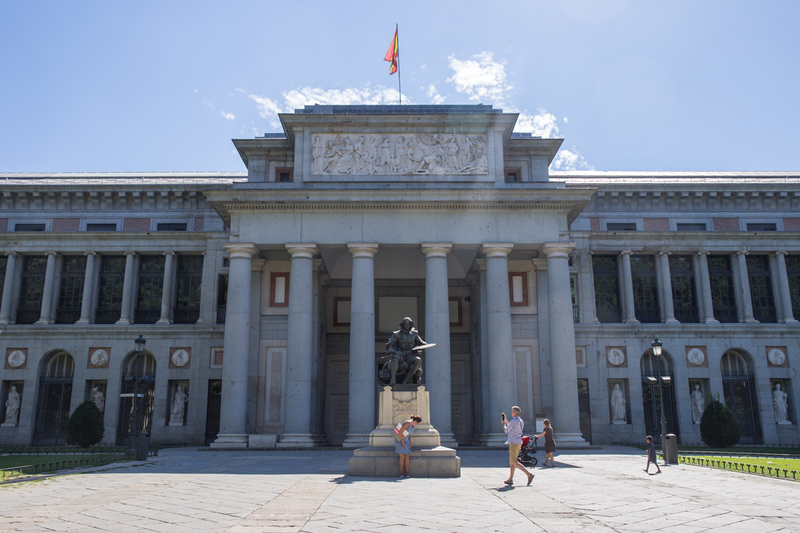 The next place on our list was Prado Museum. We did not enter the museum this time, surely next visit we will enter this Museum. The sight of Plaza de Espana in one quiet afternoon. 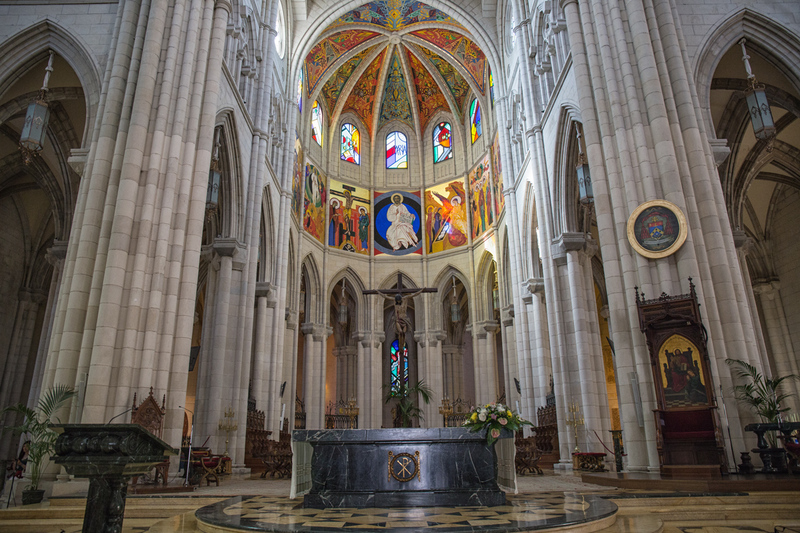 What good is visiting Madrid without checking out its world famous Cathedral de la Almudena. The interior of the Cathedral definitely is not to be missed. 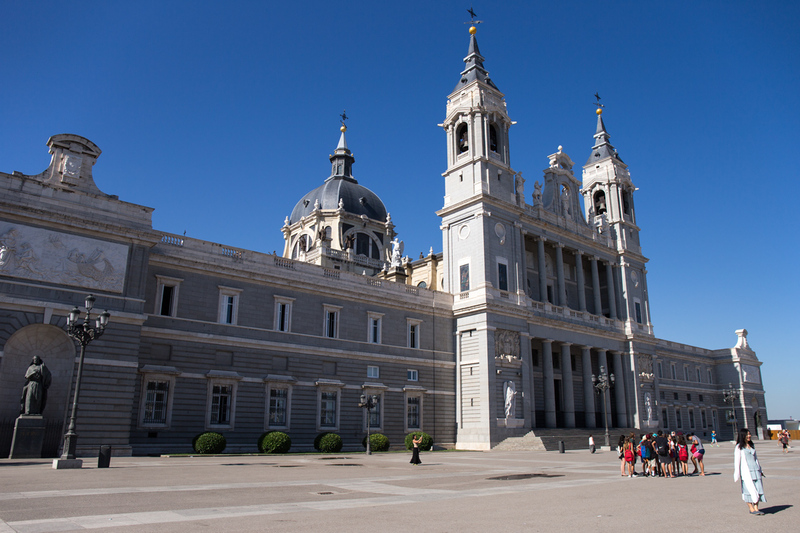 The Cathedral is located next to the Royal Palace of Madrid. This Plaza de la Isabel II is within walking distance from the Cathedral and located behind the Royal Palace. 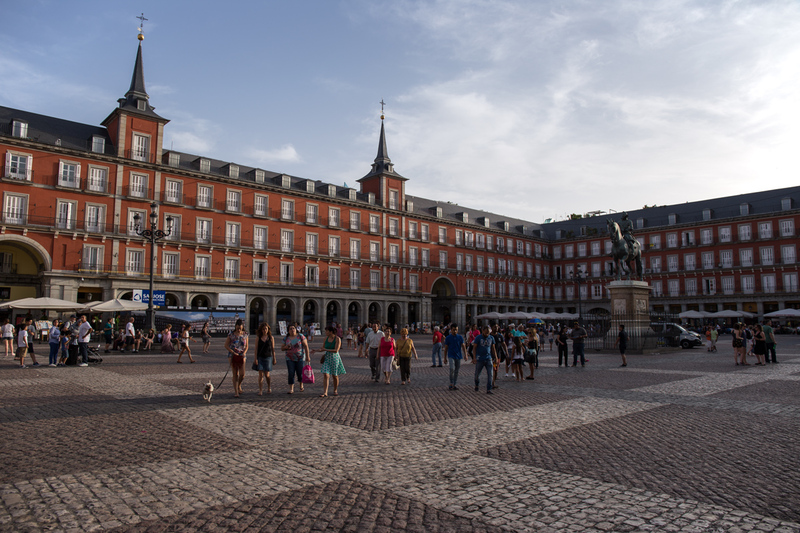 It’s one of Madrid’s popular squares where people meet for early evening drink. Is a two days trip enough to see Madrid? We did go some of the most popular places in two days but skip entering popular museums. There are many places to see in Madrid, food to try, things to shop…A two days trip definitely is not enough. We will be visiting Madrid soon after our baby arrives. Next story Is Madrid A Safe Place to Travel to?